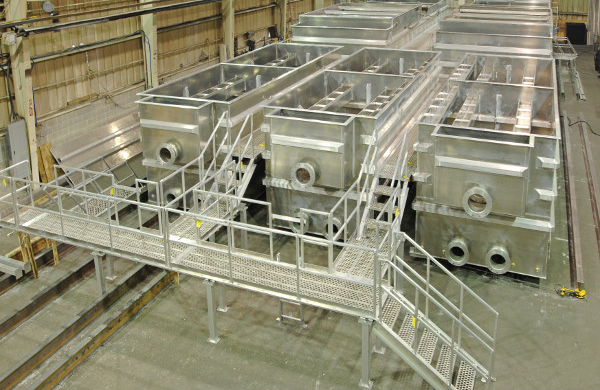 AWC Water Solutions offers packaged water treatment plants based on dissolved air flotation (DAF) technology. These plants excel in treating lake and reservoir water containing high levels of color, algae and turbidity, as well as cold waters and high levels of iron and manganese. Our DAF plants are custom-designed to meet our clients’ particular challenges. They can treat capacities up to 1,400 gpm (7,600 m3/d) per train (multiple trains can be combined for higher flows) and reliably achieve less than 0.1 NTU turbidity and 2.5-log, multi-barrier protection against Giardia and Cryptosporidium. A coagulant added to the raw water precipitates dissolved contaminants and encourages particles to form “flocs”. Gentle agitation in the flocculation zone helps these flocs grow before they pass into the flotation zone. Once in the flotation zone, microscopic air bubbles are injected. 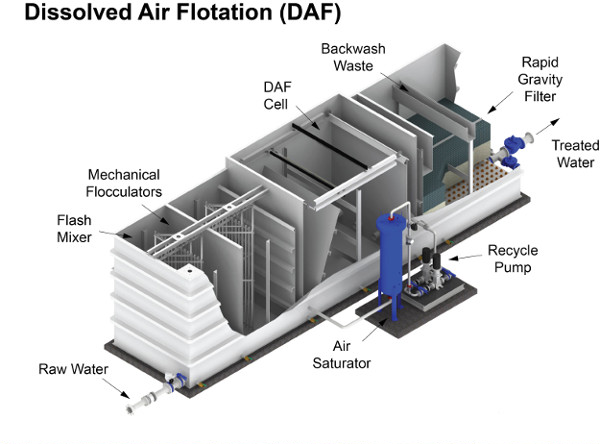 The 50 micron bubbles used for flotation are formed by recycling a small stream of clarified water through an air pressurized, packed tower saturator to specially designed nozzles at the DAF cell inlet. Here, a rapid pressure drop causes the air to come out of the solution and form millions of small bubbles, which are then dispersed through the flocculated raw water. Then, the bubbles rapidly float the flocs to the surface and the accumulated float is skimmed off. Clarified water passes to the high-rate filter for final polishing and the filter is periodically cleaned by water or air/water backwashing. Our packaged DAF plants are pre-assembled and pre-tested in our controlled facility, often saving 50 percent or more over in-situ construction. They can also be integrated into pre-engineered building systems for increased savings and reduced schedule. Their small footprint also reduces building costs. Our DAF plants are quiet, simple and easy-to-operate with minimal operator input. 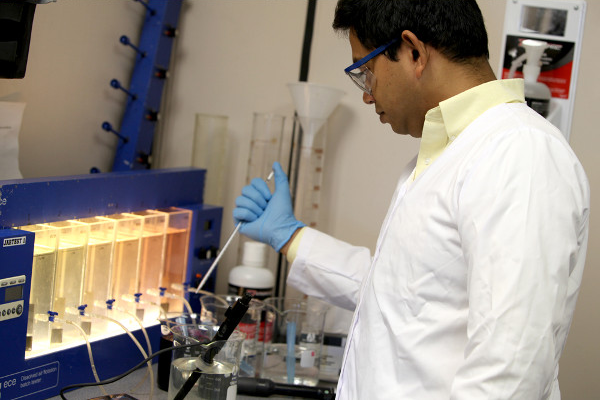 They are also supplied complete with chemical dosing, water quality instrumentation, automatic controls and monitoring systems customized to meet local needs.